reated by Maurice Roucel, creator of L'Instant by Guerlain, this unconventional fragrance sweeps you straight into its heart: a new interpretation of violet. Exuberant notes of violet are accompanied by jubilant red berries like raspberry. A hint of orange blossom and rose impart a striking intensity, while sensual iris and tonka bean resins finish the scent, making Insolence the ultimate luxury fragrance. 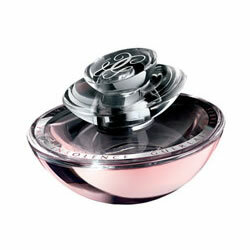 Notes:Spiral Accord, Iris (Orris), Orange Blossom, Rose, Violet, Sandalwood, White Musk, Tonka Bean, Raspberry. Style: Young.